Join cover fighter Conor McGregor on a journey to be the greatest of all time, inside and outside the Octagon now! Master your skills and performance inside the Octagon. Conquer the cutting-edge Real Player Motion technology, all-new G.O.A.T. Career Mode and more in-game. Compete as real UFC fighters like Conor McGregor and boost your team with Fighter Chemistry to create strategic advantages. See New Features What is Ultimate Team? EA SPORTS UFC 3 revolutionizes fighting movement with Real Player Motion Tech, delivering the most fluid and responsive fighter motion ever. In the new G.O.A.T. 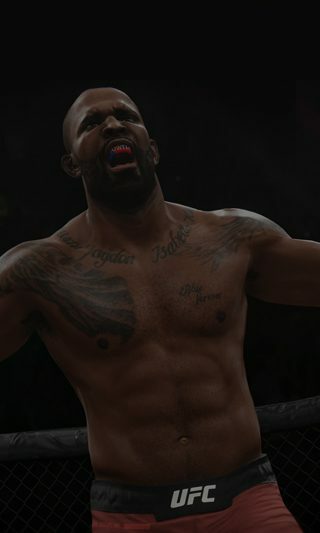 Career Mode, your choices outside the Octagon now matter as much as your performance inside the Octagon as you hype fights, create heated rivalries and more on the road to becoming the Greatest of All Time. Sign up today to receive the latest UFC news, updates, behind-the-scenes content, exclusive offers, and more (including other EA news, products, events, and promotions) by email. 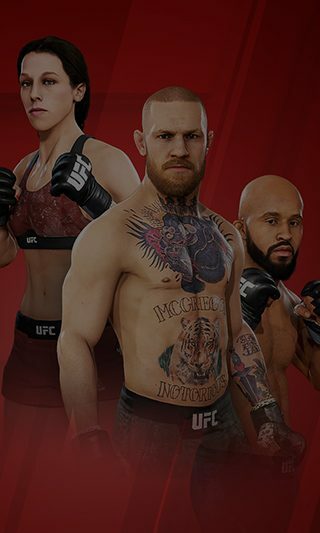 You must sign in and sign up for UFC and EA emails before you can redeem your [IN-GAME ITEM]. You must sign up for the UFC newsletter before you can redeem your item. 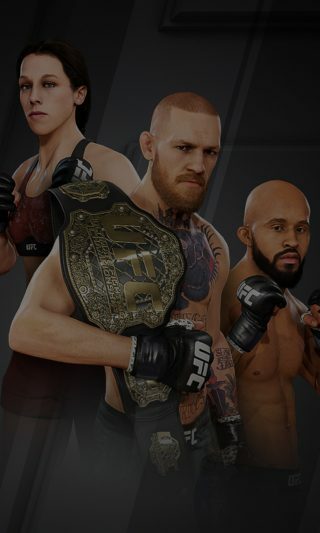 You've successfully signed up to receive emails about UFC and other EA news, products, events and promotions. Unsubscribe at any time by changing your email preferences. You’ve already signed up for UFC newsletters with the above email. Please check your spam folder for the above email. If you still have troubles receiving the emails, please contact EA.